Is it just me or “Roblox” reminds you guys also of the Minecraft video game with block-like characters or building? What? You are not even aware of “Roblox”! 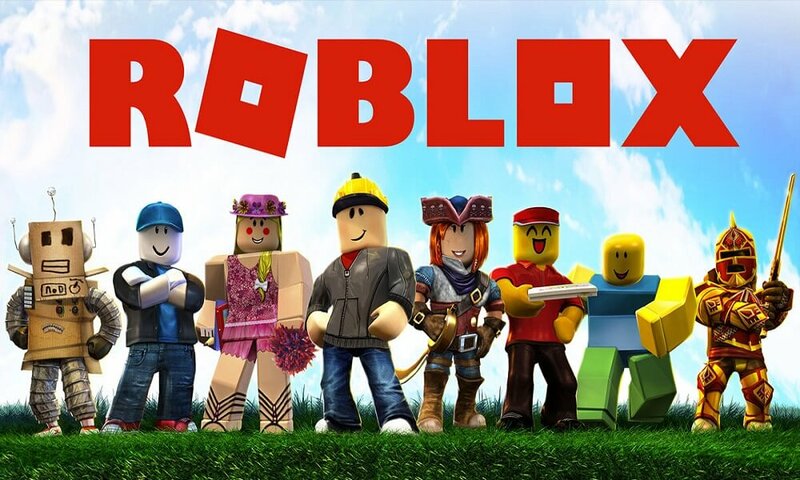 This is quite surprising, as Roblox, a multiplayer online game platform has taken the world by storm. This sandbox game allows players to create their own games, yes you read that right! Players can create their very own game in Roblox Studio using bricks, which are similar to Lego bricks. Not just kids, even adults are enamored by this video game and sponsor and advertise their games by bidding! Isn’t that exciting? Having said that, Roblox coloring pages are equally popular with children. So we decided to come up with a small, but beautiful collection of free printable Roblox coloring pages. Without wasting any more time, let’s check out the Roblox coloring sheets below! Roblox logo is basically red, but how about thinking out of the box and giving a multi-hue to the logo featured in this coloring page. Won’t it look different? 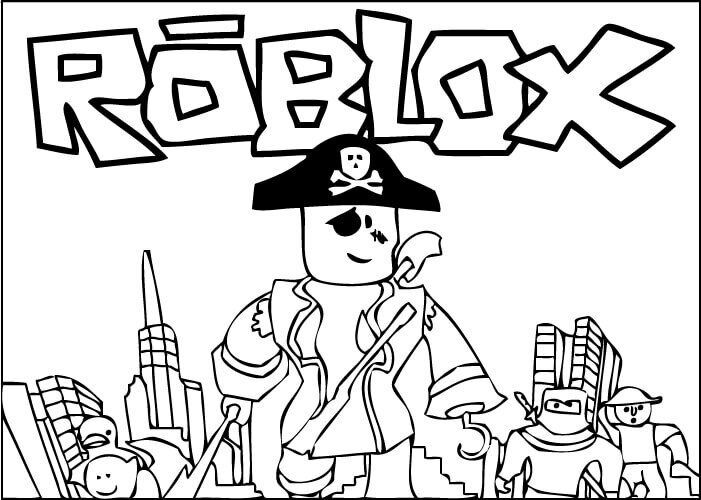 This Roblox coloring page features the pirate, one of the most popular characters from this video game. People love to create pirate as their players in the game. There are several other characters featured behind the pirate too! This Roblox coloring page features Ninja and Knight, two of the most popular characters in this video game. The popularity of these characters, and others led the makers to come up with their own line of Roblox toy figures. Do you have any of them? This coloring page features a building made by using the blocks. Isn’t it looking fantastic? It will look even better when colored. We guarantee you! 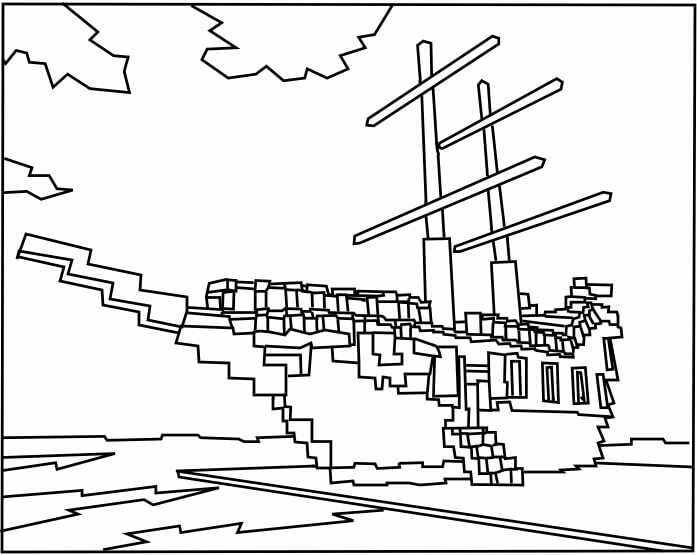 Does this Roblox ship belong to the pirate featured in the above coloring page? The ship is on shore right now, but can set sail anytime. So color it before it leaves. 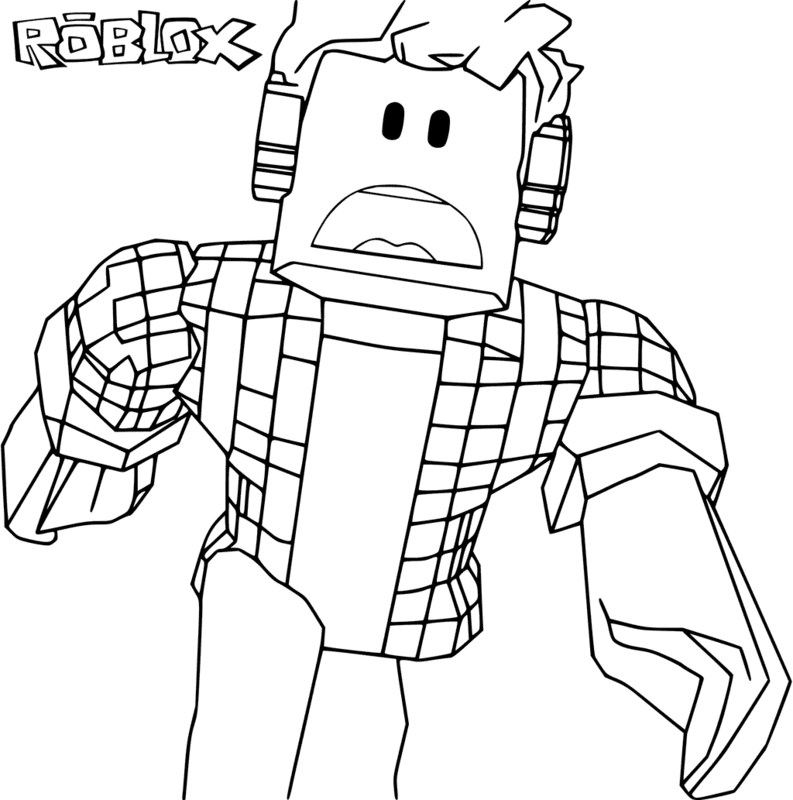 Here’s a coloring page of Roblox Guy Tim, a popular character from this video game series. Why is this Roblox character shouting? Has he seen something terrifying? Or is someone chasing him and he’s running for his life? How about weaving a story to go with this picture? 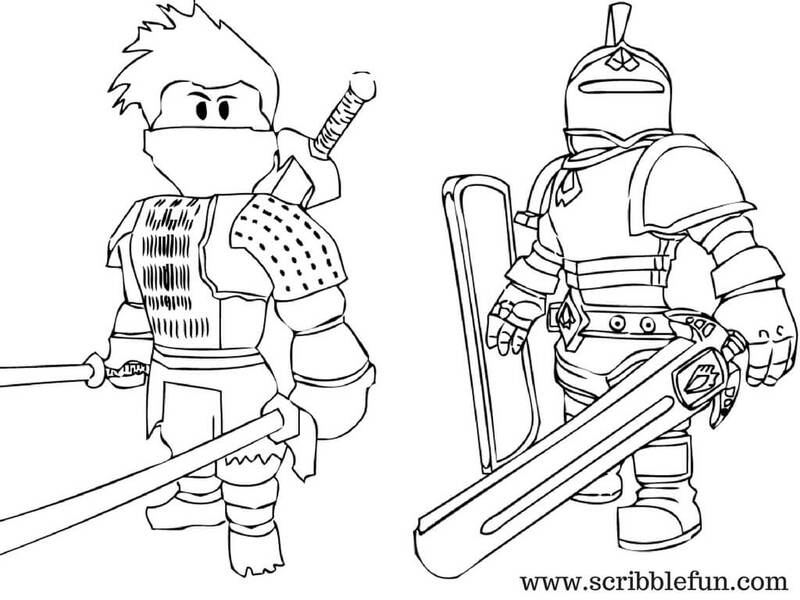 Embark on an exciting journey to become the greatest Roblox knight with this coloring page. With hard work, hard training and extreme willpower, even you can gain limitless power, just like this knight. But how about coloring it first? 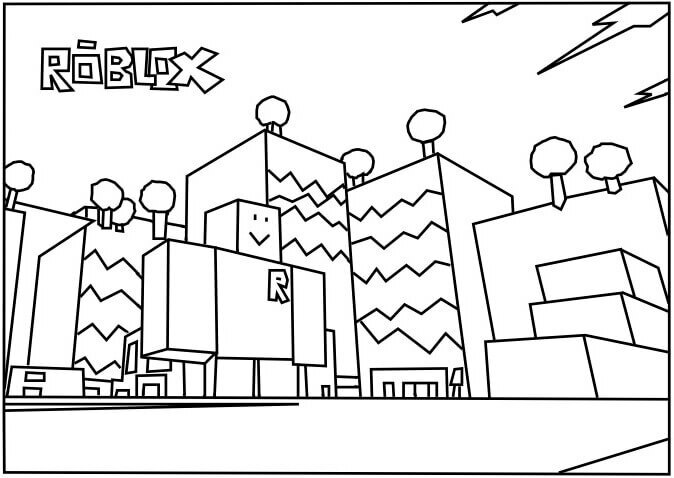 Here’s another Roblox coloring page, which you can fill any way you like. How about making the first one multicolored and this one red? This coloring page features a Roblox Ninja. Just like the video game, even you can customize this character with colors of your choice. Just let your creative juices flowing and see the magic. We hope you liked our collection of free printable Roblox coloring pages. Print out all these Roblox coloring sheets to create a custom book. Until then, take care.